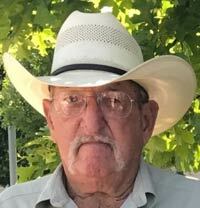 Bobby Gene St. John, 78, of Alvord, a retired foreman at Vulcan Materials, went to be with our Lord Thursday, April 4, 2019, at Lake Bridgeport. Graveside service is 10:30 a.m. Wednesday, April 10, at Cumby Cemetery in Chico. Honorary pallbearers include Jay Smith, Jonathan McKeever, Wade St. John, Jared McKeever Wyatt St. John and David Eller. Bobby was born Feb. 25, 1941, to J.W. and Annie Louemma (Rich) St. John in Sunset. He was united in marriage to Delaine McGee Sept. 9, 1960, in Alvord. Bobby’s favorite pastime was fishing. He was a beloved husband, father, grandfather and friend. He was preceded in death by his parents; sisters Mary Jo and Wanda; and brother Raymond St. John. Those left behind to cherish his memory are his wife of 58 years, Delaine St. John of Alvord; sons Rodney St. John and wife, Lachell, of Gainesville and Charles St. John of Kerrville; daughters Beverly Lands and husband, Aaron, of Tennessee and Pam McKeever and husband, Johnny, of Weatherford; grandchildren Jay Smith and wife, Jill, of The Colony, Scheana Eller and husband, David, of Sanger, Katelyn, Erica, Jonathan, Emily and Jared McKeever, all of Weatherford, and Wade and Wyatt St. John of Gainesville; great-granddaughter Ava Joy Eller of Sanger; brothers Dan, Jerry, James, Rubin and Alvin; sisters Shirley, Helen, Linda, Ethelene and Lois; uncle Thomas St. John; and numerous nieces, nephews, cousins and a host of friends and fishing buddies.